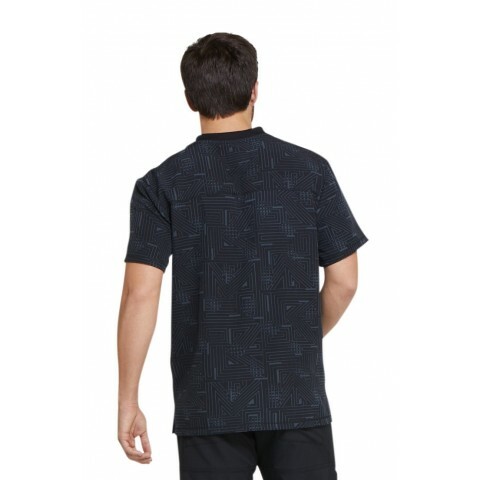 The Labyrinth DK607 Men's Printed Scrub Top from DIckies Dynamix features a nice pattern that makes it different from all other plain black scrub tops. 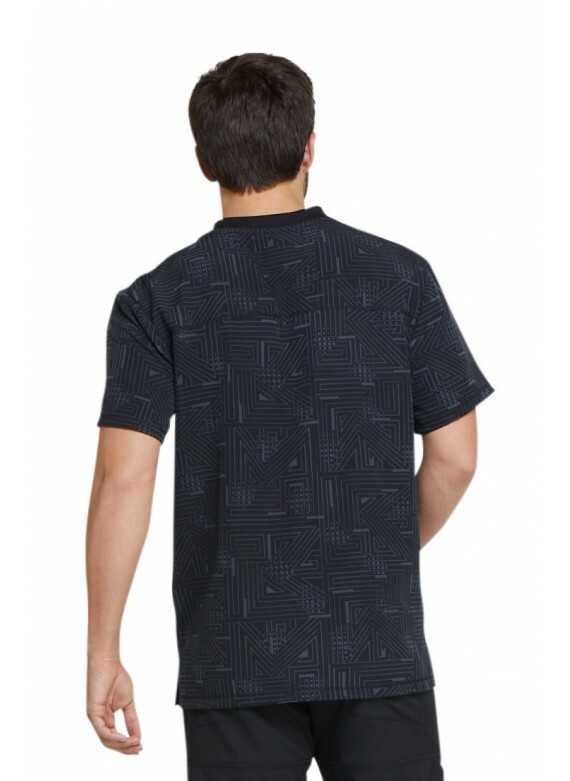 The pattern is subtle and unique; unassuming, yet sharp. 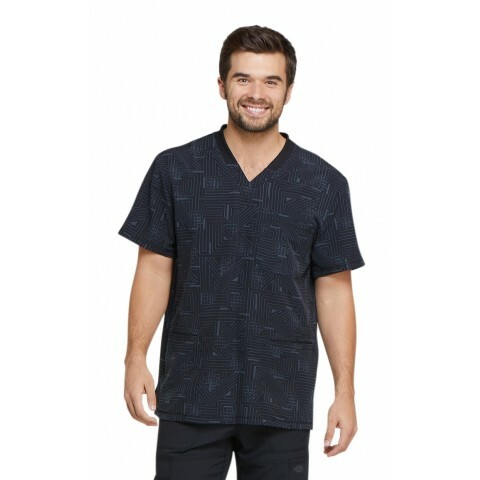 If you're looking for a scrub top that is unlike any other, yet will still allow you to look the part of the professional you are, this scrub shirt is just what you've been looking for. From the minimalistic design to the practical elements, this is a shirt that is in a league of its own. 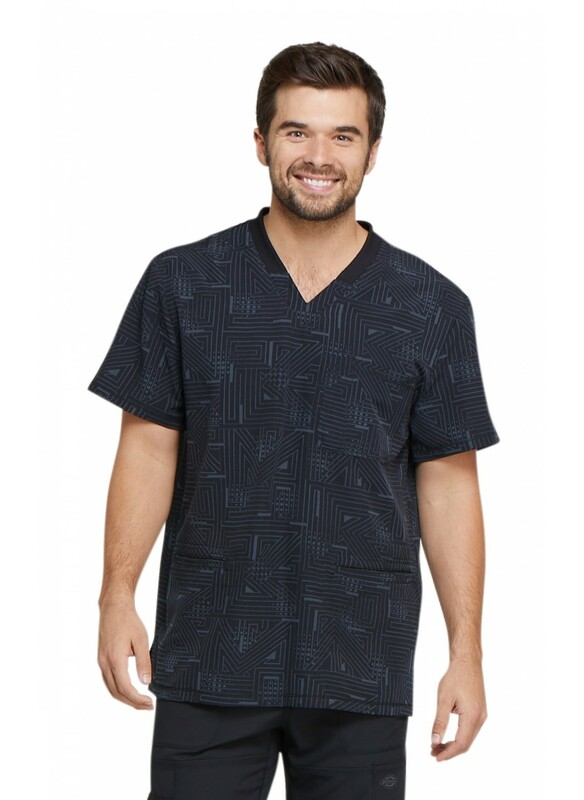 With several pockets, which afford you ample space to store medical tools, and smart side slits, which allow you to move about easily and efficiently, this scrub top is one that lets you accomplish your utmost.